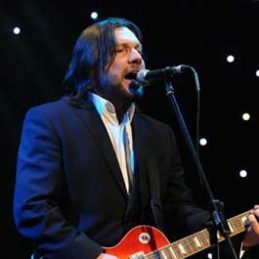 Chris Doheny is recognised as one of Australia’s music industry’s foremost performers, vocalists, musicians, songwriters, producers and promoters. His musical history extends from the latter part of the Seventies to the present, with his career having been highlighted by fronting leading Australian rock act Geisha since the mid-eighties. He is also renowned for his award-winning performance for “More Than A Game”, the theme song for the Melbourne Footy Show, since its inception in 1994. Chris continues to be in high demand for his energetic and entertaining live performances, both in the corporate sector and in venues around the world. He maintains a burning passion to entertain and possesses the unmistakable quality of one of Australia’s most recognisable rock voices. Chris has a vast repertoire and plays an eclectic mix of old and new songs that are guaranteed to leave audiences wanting more.